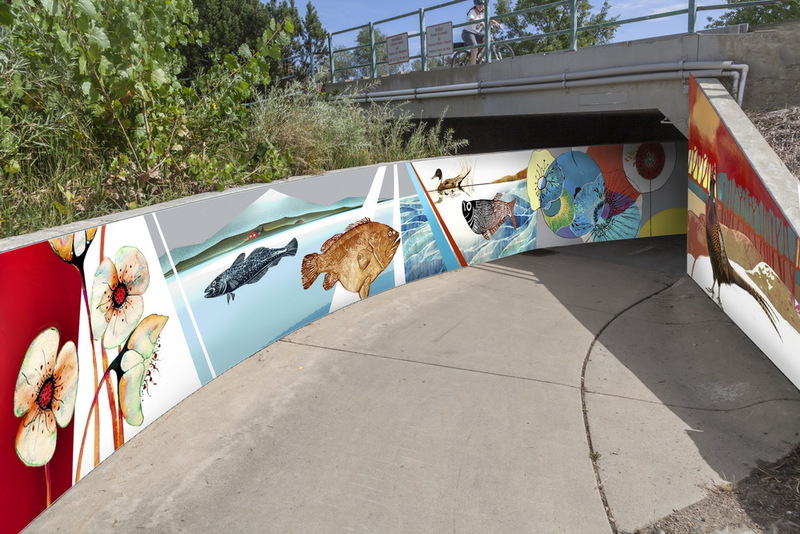 Tunnel art at 21st & Hover street underpass in Longmont, CO will be my next exciting project! 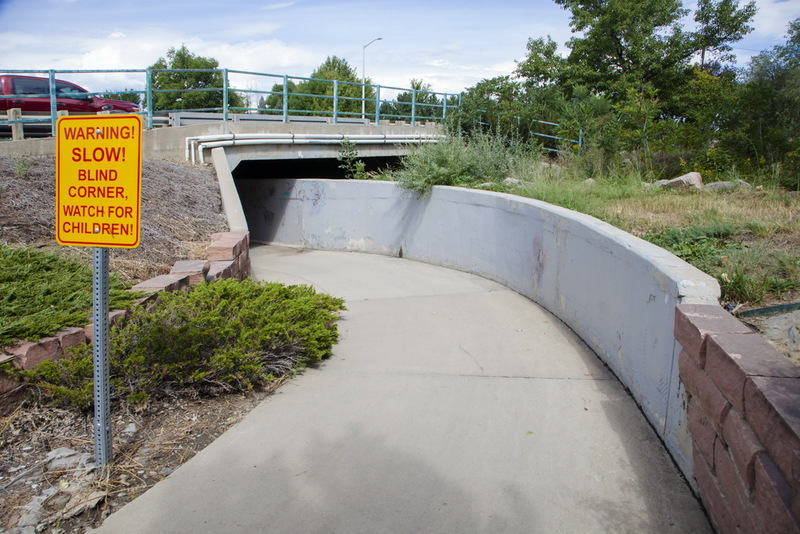 The underpass is mostly used by bicycle and pedestrian traffic from nearby communities, who are going to McIntosh Lake, Garden Acres park, using the designated “Longmont (bicycle) Loop” or accessing the many businesses. Longmont is a small city with a growing population that still has a small town feel, honoring the historical roots to the Chicago colony while concurrently embracing the technological advances of modern day society and the opportunities provided. Longmont continues to grow in its representation of diverse cultures. Realistic images are mixed in with stylized, representing the diversity of culture in Longmont. Poppy flowers, osprey, a cyclist on a mountain pass, and historic colonial buildings. Multi Modal colorful design elements resemble a collage or a quilt. 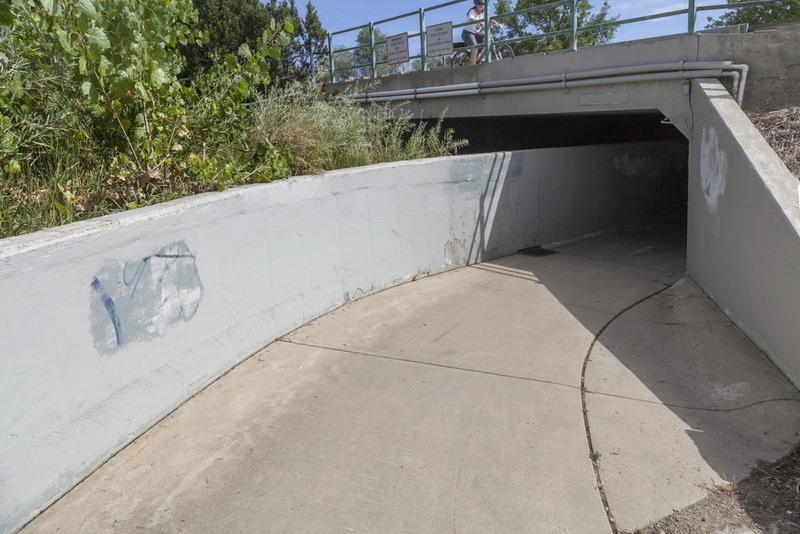 The walls inside the underpass will have light and bright colors to brighten up the tunnel and invite people to go through the underpass. All across the mural I included flowers and blooming plants as a symbol of growth and inspiration. Also, bears on a tandem bicycle. Flowers, plants, an unicyclist with fresh farmed produce, representing the agricultural past of Longmont. 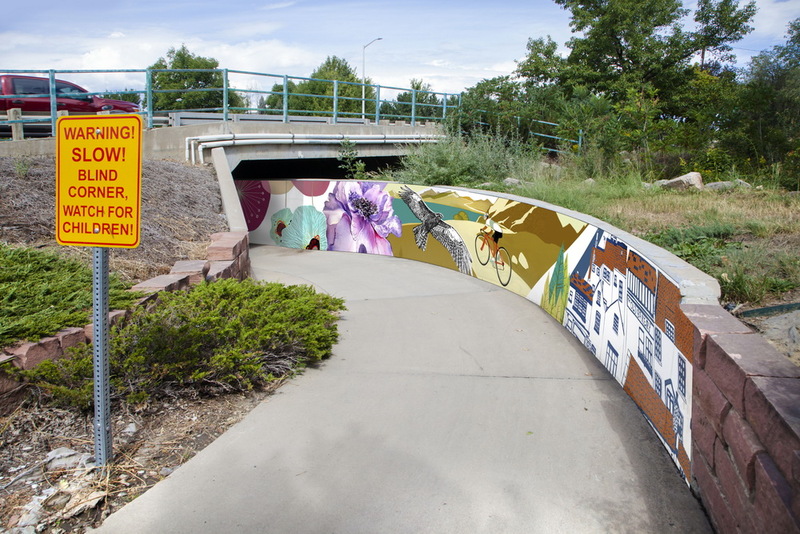 The Collage style of the design represents the diversity of Longmont’s people and its culture. 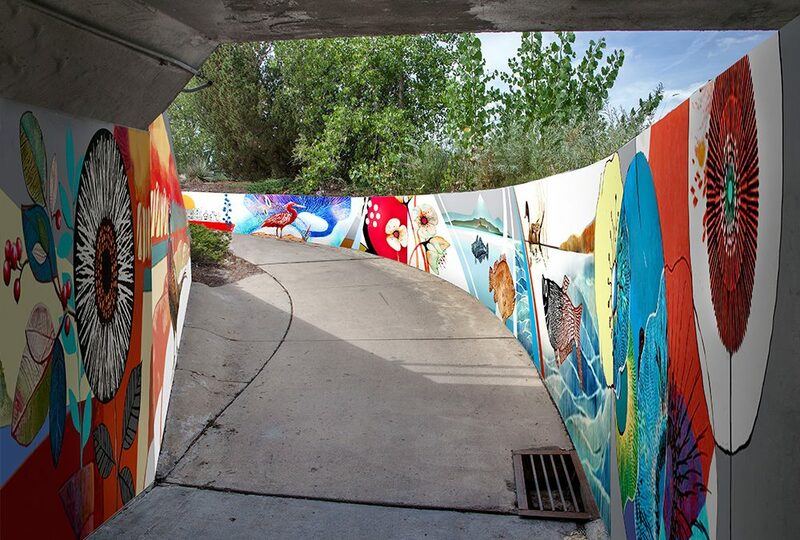 This is an energetic and rhythmic design; it invites people to continue their way through the underpass. The walls of the underpass now, before the mural. The project was painted in October 2018. Please see the images of the mural creation process in this post > and the pictures of finished tunnel art here >.